After performing on Saturday Night Live, Kanye West officially released his new album exclusively on TIDAL early Sunday morning, and while West changed the album's title multiple times, he ultimately settled on The Life Of Pablo . 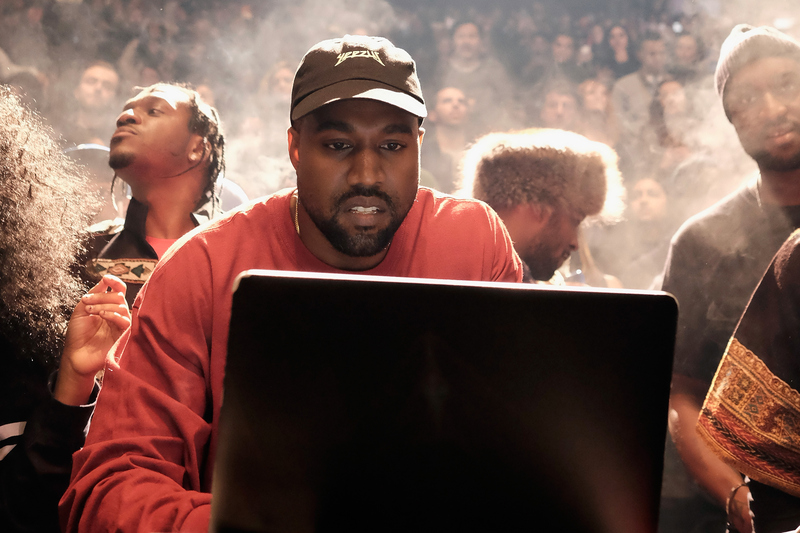 He first performed the Life of Pablo track list at his sold-out Yeezy Season 3 fashion show-slash-listening party at Madison Square Garden, but now that all 18 tracks are out, I've decided to rank them. In case you're skeptical about listening to the entire thing, you can check out this list. Tune into the top-five songs before deciding whether you want to hear any more. Problem solved. Granted, my ranking system is undeniably subjective. I tried to listen to the tracks for their musical value, but sometimes West's misogynistic lyrics interfered with my ability to do so objectively. I mean, can you really diss Taylor Swift and get away with it? I'm certainly on the fence about that. At the same time, some tracks have important messages, including a reference to the Black Lives Matter movement. Feel free to agree to disagree with this list, but I think nobody will dispute the song that earned the top spot. Here's a ranking of all 18 tracks from West's The Life Of Pablo , ranging from worst to best. Do anybody feel bad for Bill Cosby? / Did he forget the names just like Steve Harvey? It's unclear whether he's saying he feels bad for Cosby, but his "BILL COSBY INNOCENT" tweet the other day made his opinions pretty clear. This song is less than a minute long. As the title says, it's really just an intermission. Still, the title automatically makes me think of that Nickelodeon show The Secret Life of Alex Mack, so I dig that nostalgic mental image. See what I mean? Considering West calls himself "Yeezus," the presence of religion isn't surprising. But since this track serves more as an interlude, it doesn't rank higher on the list. This song title is incredibly accurate: it's a 2-minute freestyle, where West really lets loose. He pretty much just talks about wanting to "f*ck right now." He even suggests doing so in the middle of the dinner table. Honestly, the album would've been just fine without this. This melodic song is the album's closing track. It's catchy, but doesn't really have any qualities that make it stand out too much from the rest. The background beat is probably the best part. Plus, if you tried to figure out how many times he says "fade," you'd lose count within the first 30 seconds. Honestly, the best part of "30 Hours" is where West recounts his morning routine. His breakfast? "I wake up / All veggies, no eggs." In case you're wondering what he does after the gym, he says, "Then I make myself a smoothie." Can you picture West drinking a smoothie every morning? It's a solid song, but my least favorite part of this track is where he disses an ex — for no reason. "My ex says she gave me the best years of her life / I saw a recent picture of her / I guess she was right." Rude, huh? This track is the second part of "Father Stretch My Hands" (which you'll find ranked a bit further down on this list). In the song, he acknowledges his mother's death and relationship with his dad. It's definitely heartfelt side of West. Plus, he acknowledges the car crash, where he broke his jaw and his mouth was wired shut. (Remember that?) Essentially, he's looking back at his humble beginnings. This track doesn't rank super high, given the awkward factor. Yep, this is the song where he says, "I bet me and Ray J would be friends / If we didn't love the same b*tch." Honestly, I'm cringing on Kim's behalf. In case that's not enough, this is also the song where he calls out Rob Kardashians and Blac Chyna's relationship. Fun fact: Apparently Carole King participated on this track, which definitely makes me like it more. 10. "Father Stretch My Hands Pt. 1"
I don't even wanna say nothing / Everybody gonna say something / I would be worried if they said nothing. It's the perfect way to sum up West's obsession with fame. I'm not saying West shouldn't get called out when he makes inappropriate statements, but at the end of the day, he's the only one who understands his side of the story. And I feel like he explores that concept in this song. 8. "No More Parties In LA"
This track is West's first collaboration with Kendrick Lamar. Lamar's verses are definitely what make the track. Based on the song title and its similar lyrics, I like to view it as West begging Kardashian to not take him to anymore parties in LA. In which case, it's a fun mental image. What if Mary was in the club? What if she met Joseph with no love? That's a new way to think of the Old Testament. The repeated lyrics include, "We surrounded by the f*cking wolves." Maybe he's talking about how everyone comes after him and his family, and trying to defend them. I hate to say it (given the misogynistic lyrics toward T. Swift), but this song is incredibly catchy. That doesn't make the lyrics OK at all and I'm conflicted to even admit this. But based on sound alone, the track is better than several others on the album. Plus, he collaborates with Rihanna, who nails her part on the song. I now understand why this almost was the album's namesake. Real friends, how many of us? How many of us are real friends? His friendship struggles are different than ordinary people's, but he does raise valid questions about not remembering birthdays and growing apart. This totally shows a sentimental side, reminiscent of something that Drake would sing. This is the first track on the album and I think it's a solid opener. The background noise sounds like it could be from outer space. Honestly, my favorite line comes from Chance the Rapper, who says, "I been this way since Arthur was an anteater." I love a good Arthur reference! Plus, another highlight is when West says, "Pray for Paris / Pray for the parents," which is undeniably a reference to the Paris attacks that happened in November 2015. Another highlight of the song is when he says "name one genius that ain't crazy." In other words, he's acknowledging his sometimes ridiculous antics. He's not only checking his ego, but admitting he's changed over the years. It's up to the audience to decide whether that's for the better.